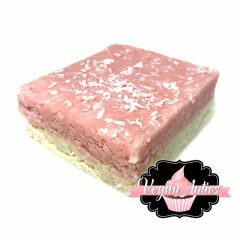 Choose Your Flavour Cupcakes - Vegan Antics - Buy Vegan, Dairy Free, Gluten Free, Egg Free,Soy Free Cakes & Cupcakes Online. 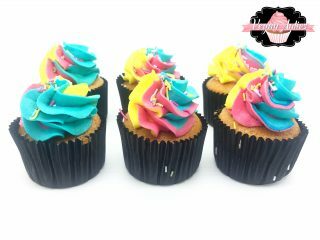 One of Our Best Sellers – Choose Your Flavour Cupcakes! Always wanted to customise your own cupcake order? Now you can! Please Note: Oreo sponge/butter-cream cannot be made gluten-free. Indulge in your favourite flavour with our best selling “Choose Your Flavour” Cupcakes! Select your sponge, buttercream flavour and design! Save when you order 12 cupcakes. If you have any other allergens please leave us a message in the “Order Notes” upon checkout. Indulge in your favourite flavour with our best selling “Choose Your Flavour” Cupcakes! Select your sponge, buttercream flavour and design! We have tons of flavours and combinations to choose from. Our cupcakes are dairy free and eggless (vegan) as standard and can also be made without gluten, soy and nuts so that everyone can enjoy our delicacies! 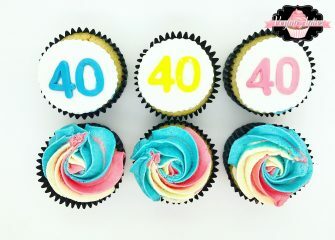 These cupcakes are ideal for all occasions including birthdays, corporate event, thank you gifts etc. Order NOW and have them delivered straight to your door! 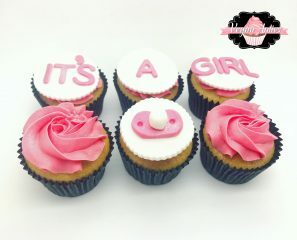 Alternatively, you can collect these cupcakes from our bakery in Gravesend, Kent! These were absolutely phenomenal!!! I ordered the Oreo sponge with Oreo buttercream icing. This was a birthday surprise for my Oreo loving husband, and he was over the moon. The cakes were simply divine. There’s a whole Oreo at the bottom of each one – gorjus! The sponge is so yummy, as is the icing. Customer Service was excellent. They were able to personalise the cakes for me even once the order had gone through. Lovely touch! This was the first time we’ve done birthday cakes since becoming vegans 3 years ago, and it will be the only place we go for every future cake! Cant express just how amazing these were. Oh, and they were extremely well packaged. They were delivered in a very well labelled box to let the posties know they were perishable and what way up they should remain. Inside was good protection, and inside there was a great domed cupcake package to protect them. I have already told heaps of people about these and cant recommend them highly enough. Now just trying to find an excuse to order more! Thank you so much! !